Canada borders the United States to the north, and its culture has been largely influenced by the British and the French. Although Canada is the world's second largest country by area, most of it is sparsely populated. Canada contains some of the most spectacular mountains, glaciers, and fresh water lakes in North America and features plenty of national parks to enjoy. The center of Canada is located at 56.13 degrees North (latitude) and 106.35 degrees West (longitude). 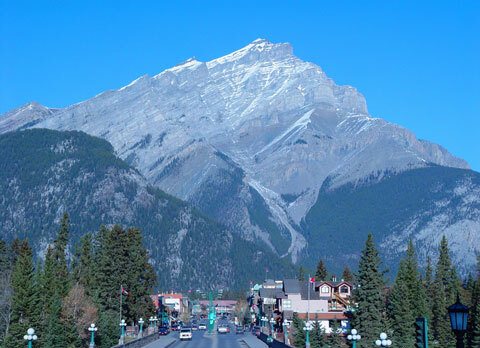 Banff and Jasper National Parks, located in the Canadian Rockies of Alberta, contain rugged mountains, alpine meadows, waterfalls, deep canyons, lakes, glaciers and ice fields. You many also encounter elk, caribou, bighorn sheep, black bears, grizzly bears, and several grand hotels built by the Canadian Pacific Railway in the late 19th century. The parks provide plenty of recreational opportunities including hiking, horseback riding, and canoeing. 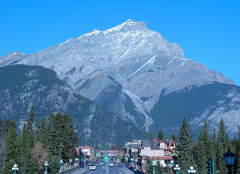 Banff National Park is located 80 miles west of Calgary. Pacific Rim National Park, located on Vancouver Island in British Columbia, contains the famous 47 mile West Coast Trail named one of the most spectacular and challenging hikes in the world by the Sierra Club. Pacific Rim's rocky shoreline was once known as the Graveyard of the Pacific and provides plenty of shipwrecks as well as abundant marine life for scuba divers. 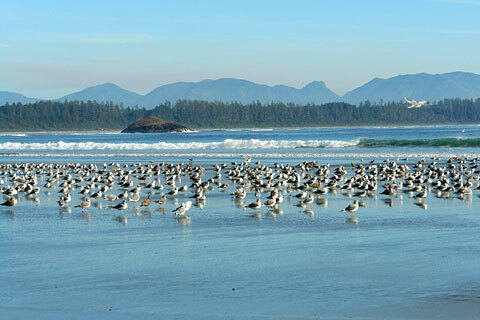 Stay at the Wickaninnish Inn in the village of Tofino and enjoy the views from your floor-to-ceiling windows and private balcony. Or stay in one of the Western-style cabins at the Middle Beach Lodge. The West Coast Trail is open from May through late September. 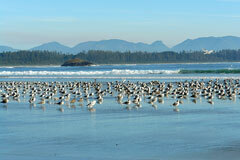 Tofino is a five-hour drive from Victoria, which is connected to Vancouver by ferry and air. 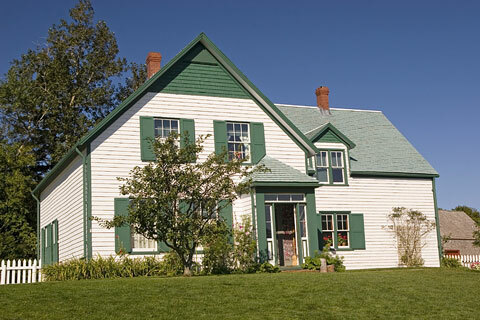 Prince Edward Island has gained notoriety as the location of the home of Lucy M. Montgomery and her novel Anne of Green Gables, and its tiny towns set among rolling hillsides make this pastoral island a truly beautiful destination. Red dirt roads crisscross the island and local fisherman catch lobsters, clams, scallops, and oysters. Blue Heron Drive passes through the National Park which includes Lucy Montgomery's home along the Gulf of St. Lawrence, and Cavendish, the area's most visited town. Prince Edward Island is located 8 miles across the Confederation Bridge from New Brunswick. While Canada is famous for its majestic natural beauty, visitors also have their pick of culture-laden cities such as Toronto and Montreal, known for their history, performing arts, music, and sports. This diversity is what makes Canada a country that is sure to please every traveler.